On January 18th at 8am, I sat on the Disney Store website ready, like many other Disney fans, to make my Mickey Mouse Memories order. I was ever so slightly concerned that I wouldn’t get my order as I couldn’t for the life of me find the products on the site. I eventually found them by searching ‘Mickey Mouse’ and then sorting by newest products, which I’ll definitely remember for next time save me panicking! 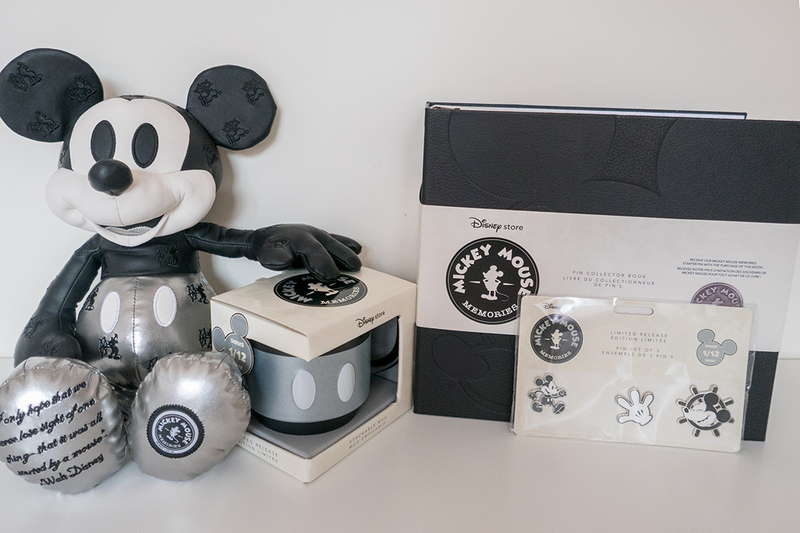 I’m sure you have already heard of the Mickey Mouse Memories collection but if you haven’t, the Mickey Mouse Memories collection from Disney Store UK is to celebrate Mickey Mouse turning 90 years old this year. 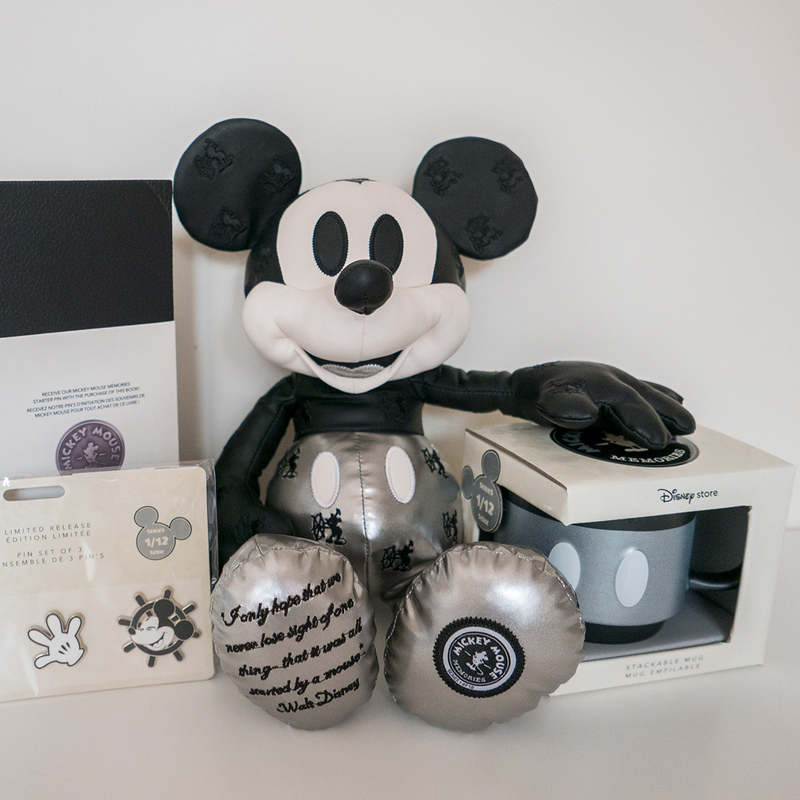 On the 18th of each month throughout 2018, the Disney Store will be releasing a new special edition set of a Mickey Mouse plush, mug and a set of pins. They are available both in-store and online. 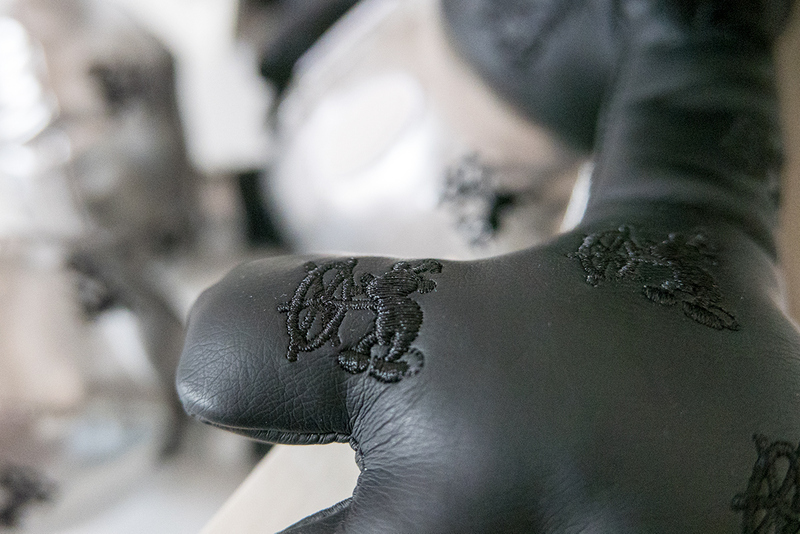 If ordering online, they are added to the site at approximately 8am. The Disney Store confirmed the prices of the products before the release which I posted to Instagram. They kept the Pin Book a surprise though, and it cost £20.00 including a free limited edition pin. I decided to order the full set of the plush, mug and the pins for January. I also noticed they had an extra ‘starter pin’ that was limited release and only cost 10p so I of course added it to my basket! I’m sure most of you reading this know how that pin turned out. I received an email from the Disney Store a few hours later explaining that the pin had been listed by mistake and that it would be removed from my order. I was extremely disappointed for the pin order to be cancelled, as were a lot of people. If I had known that I could only get the pin by ordering the pin book, I would have ordered it but it was too late as it sold out quickly online. Luckily I managed to get one of the last few in a store local to me. My order took just under a week to arrive which felt like an eternity! It is always so dark by time I get home from work I had to wait until this weekend to take some photos. Hope you enjoy my review which is largely photographs so you can see what each piece looks like properly. The plush is absolutely amazing! The quality is a really high standard for the price and it is very different to any Disney Store plush I have seen before. 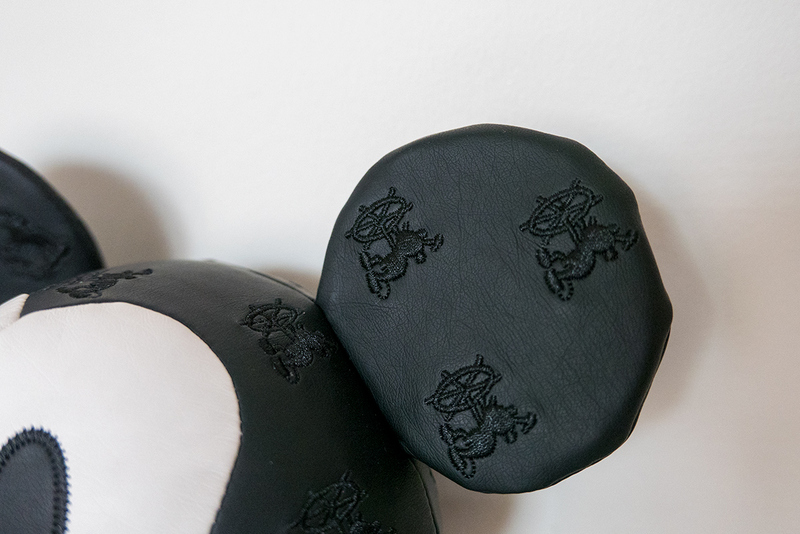 The plush is made out of a fake leather material which has a Steamboat Willie pattern. 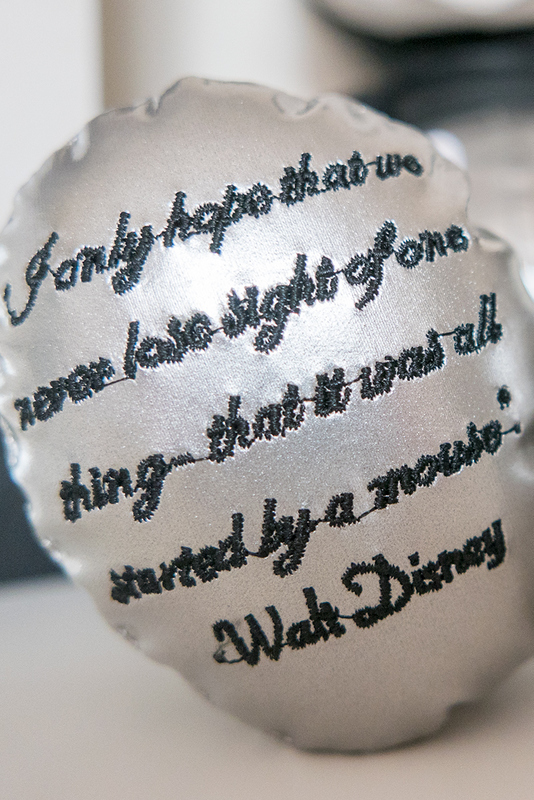 My favourite part about the plush is the quote on the foot as it is one of my favourite Disney quotes. 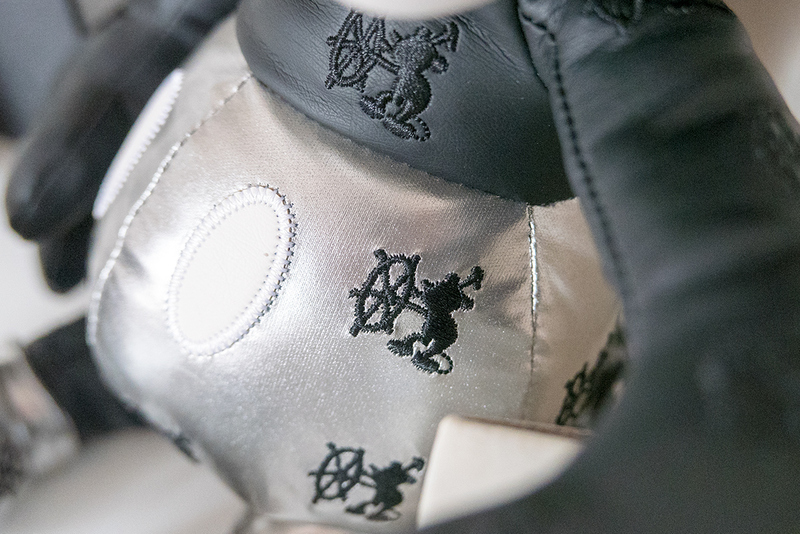 I love that it has the Mickey Mouse Memories stamp on the other foot as well. A couple of things I have noticed is that because of the ‘leather’ material he doesn’t always sit very well, especially as the tag is attached to the back. I’ll still be leaving the tag on though, I couldn’t bare to take it off! As much as I adore the plush, I won’t be collecting them every month. I couldn’t justify the space or the money every month. I do think that they are a lovely piece of Disney merchandise though and might get another 1 or 2 before the end of the year. I can totally understand why some collectors will be getting the plush every month. 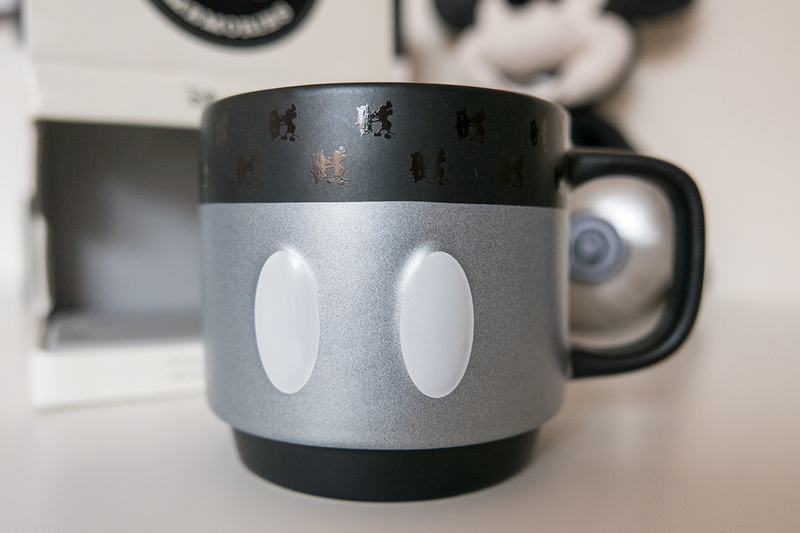 I didn’t initially intend on getting the mug, but I just loved the design so much that I changed my mind. I’m so glad I did! The quote on the inside is such a lovely detail and is one of the main reasons I decided to buy it in the end. It has such a classic design and I love it so much. Definitely worth £12.50, especially as it is limited release. The mugs are all stackable which is great for those collecting them all, I unfortunately don’t have the space as I live at home so won’t be getting them every month. However, I am really glad to have the January one! 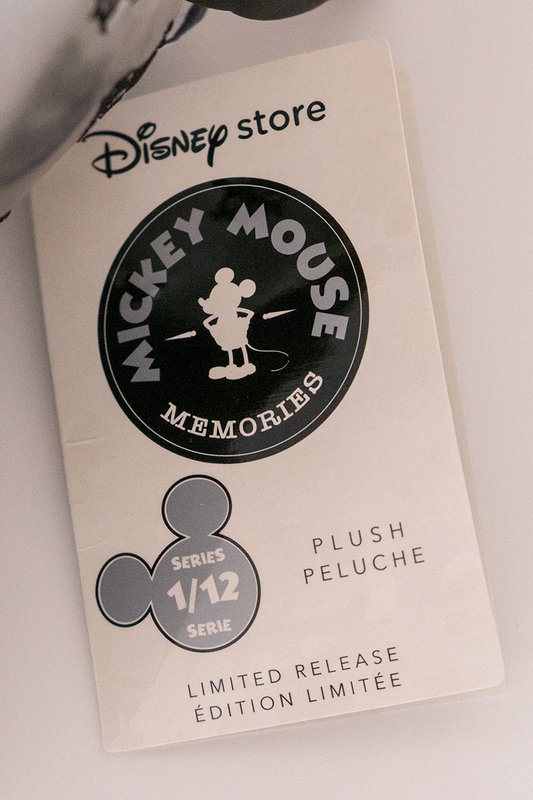 There was a bit of a mix-up about how much the pin set would cost from the Mickey Memories Collection. It was initially said by Disney Store UK that the set would cost £22.00 but it was later changed to £15.00. I felt that £22.00 was a fairly reasonable price, so when I saw they actually cost £15.00 I was really pleased! They are definitely worth £15.00. I am a pin collector already, so I knew I wouldn’t be able to resist these sets. I wasn’t sure how I would display them as 36 pins across the year is quite a lot! The surprise Pin Collection Book (detailed below) solved that problem and I can’t wait to collect them for the rest of 2018. I regretted not getting the Pin Collection Book with my online order and it sold out online just hours after being released. Luckily one of my local stores still had a couple left so I still managed to get one. The collector book is very classic and I’m really impressed with the quality. I think £20 is very reasonable considering the design, quality and the pin included. 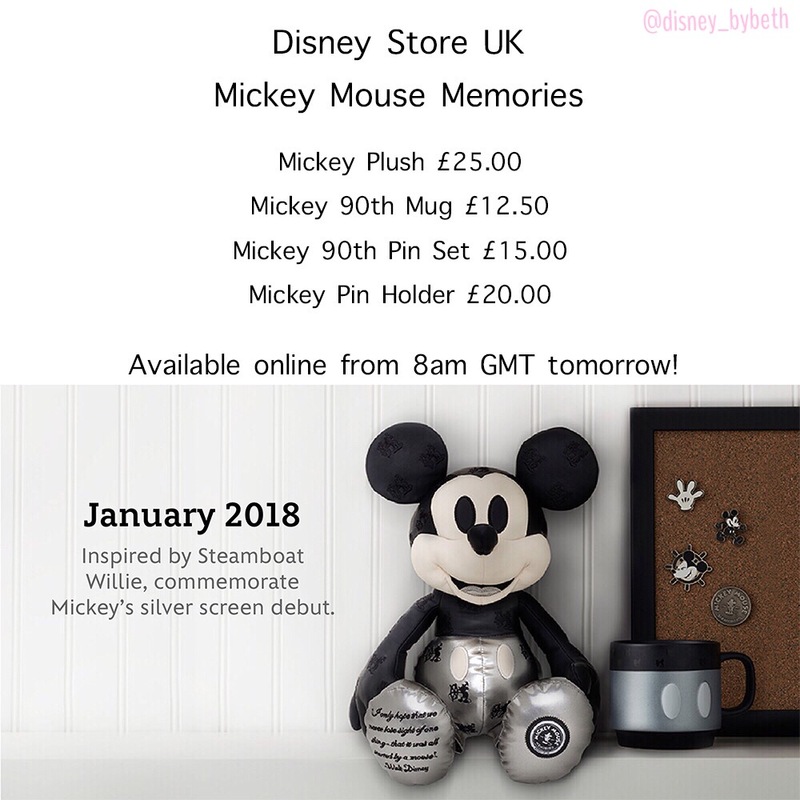 It is such a great idea from Disney Store UK and it will be perfect for storing all the pin sets throughout the year. 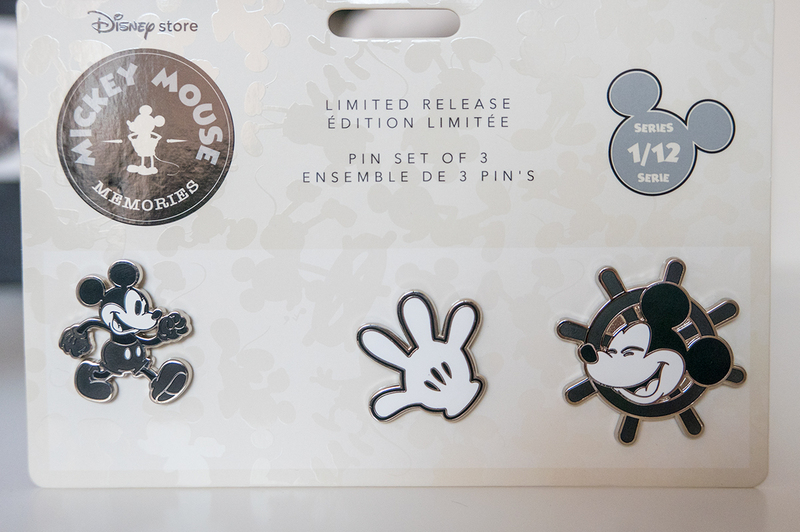 It is currently unavailable online, but if you plan on collecting the pins and you see it in store, or if it is re-released, then I would 100% recommend. The book has a wrapping around the outside and a cardboard insert around the edges. I’ve kept both of these for now, particularly the cardboard to protect the pages. Inside there are three different types of pages. The first page has a place to keep the limited edition pin that comes with the Pin Collection Book with a wallet space below. The wallet isn’t sealed at the bottom, so if I’m quite honest I’m not sure what to put inside. I’ll probably just put my first ever photo with Mickey Mouse there and hope it doesn’t fall out. There are then pages which include folders for the pin set each month. Lastly there are 6 pages, each with space for 2 photographs and notes. These pages are designed for you to document your own ‘Mickey Mouse Memories’. They really have thought of everything and at the end of the year, this Pin Collection Book will be a lovely piece of merchandise to keep. As you can tell, I love the new collection! I’m so happy with the design and quality of everything I received. I can’t wait to see what the rest of the collection looks like for the rest of the year. Let me know in the comments what you think of the collection and if you have made any purchases! I was hoping you could tell me if there was an option to pick up in store when you were purchasing? Apparently some things give you this option on their website. Thanks! Hi! I think there is an option for picking up from a Disney Store. It depends how close you are to a store. For example, I don’t get that option for delivery as I don’t live close enough to a Disney Store. It will automatically tell you when you go to checkout if you are near enough. Hope that helps!